The Co-op is pleased to present GroupBuy savings for award-winning MUZZY from Growing Minds! Developed by the BBC (British Broadcasting Company), MUZZY's Homeschool Edition teaches Spanish and French using fun and animated stories featuring Muzzy and friends. Members can purchase an online subscription for 6, 12, or 24 months, Curriculum Binder + DVD, or the DVD Set. Children in grades Pre-K to 8 watch a captivating 3-D video story about the space traveler Muzzy and his friends in the Kingdom of Gondoland. As children watch, they are exposed to 1,200+ words and concepts in the target language, creating an opportunity to become truly bilingual. These stories use the natural immersion method, which is modeled after the way children learn their first language. In MUZZY, each lesson serves as the foundation for the next. The object is to build on the words and concepts that your child previously learned. MUZZY surrounds learners with visual, aural and contextual language. This unique design can be effective for visual/spatial, verbal, kinesthetic, musical and logical/mathematical learners. Visit the MUZZY website for more information. Read more about how MUZZY works. 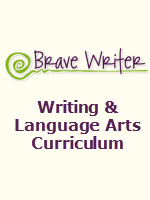 Preview a sample lesson plan for Spanish or French. Check out what others have said about MUZZY. See Cathy Duffy's review for Muzzy Foreign Language programs. Fulfillment: Online Subscriptions: Within three (3) business days (or less) of placing your order, Growing Minds (MUZZY BBC) will email your "Getting Started" email. This will contain your subscription login information. If you do not receive this email, please check your spam/junk folder. Curriculum and/or DVD Set: Growing Minds (MUZZY BBC) will ship your order within three (3) business days (or less) of placing your order. Shipping: Online Subscriptions: Shipping is not applicable. Curriculum and/or DVD Set: Your order will ship via Media Mail. FREE shipping to US Addresses Only! Shipping is $20.00 for Canada and International orders. Returns/Cancellations: As this is a special group purchase, there are no returns for the online subscription products. The Co-op recommends reviewing sample links to ensure a confident purchase. For Curriculum and/or DVD Sets, you are entitled to a 14-day money-back guarantee. Please submit your return request at Muzzy page. They will provide you with the return instructions. 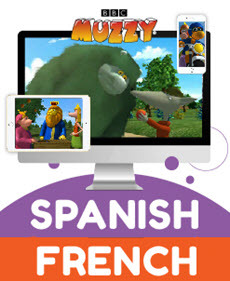 An online MUZZY BBC homeschool subscription for Spanish or French gives your family access to the entire homeschool curriculum - videos, games, lesson plans, cultural lessons, and more. Your entire family will be able to use MUZZY, and begin the journey to bilingualism, wherever there is an internet connection. 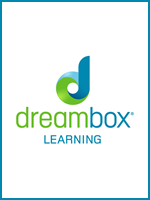 Lesson Plans: 38 lesson plans provide explicit instructions to cover two to three class periods of approximately 20 to 45 minutes in length. Cultural Lessons: Help children understand what it's like to live in countries where the target language is spoken. These can be used as part of the language learning curriculum or across social studies, geography, history, music and art. Teacher Activity Masters & Student Activity Sheets: Reproducible masters provide homeschoolers with a range of engaging activities that complement the video material. Assessment Masters & Student Assessment Sheets: Listening Comprehension Assessments help homeschooling parents build their child's listening comprehension skills. Reading Comprehension and Written Expression Assessment Masters with answer keys and Assessment Sheets provide a year-end assessment. 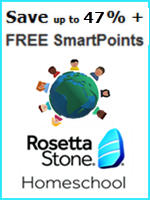 Additional Resources: Resources to help homeschoolers implement lessons are provided. These resources include reproducible image illustrations for use in lessons or cultural projects, props, flashcards, useful classroom expressions, holidays, and more. For more info on French and Spanish. See the product description above for more info. The DVD Set includes the 12 episodes of the video story, Vocabulary Builder, and Sing-along songs. Note: This option does not include the lesson plans, curriculum, cultural lessons or online games. We include this product because some parents like to have DVDs to go along with the online edition or just want to learn another language.